I’ve been turning down a lot of blogger events recently, mostly because I’m so busy, but also because I felt they’d become very samey, and I had a bit of networking fatigue. 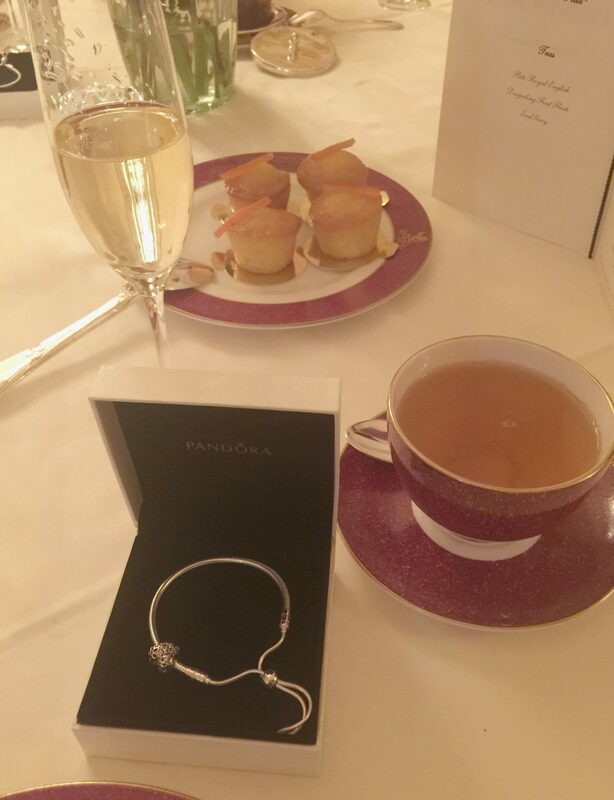 When Pandora, the dreamy jewellery brand, got in touch to invite me to afternoon tea at the Ritz, no less, I was suddenly back in the game! I couldn’t turn this down, and I had such a good time – all my expectations completely surpassed – that I now also think I’m ready to mingle with both brands and bloggers again. Pandora hired us our own private room, so delectably pink and pretty. 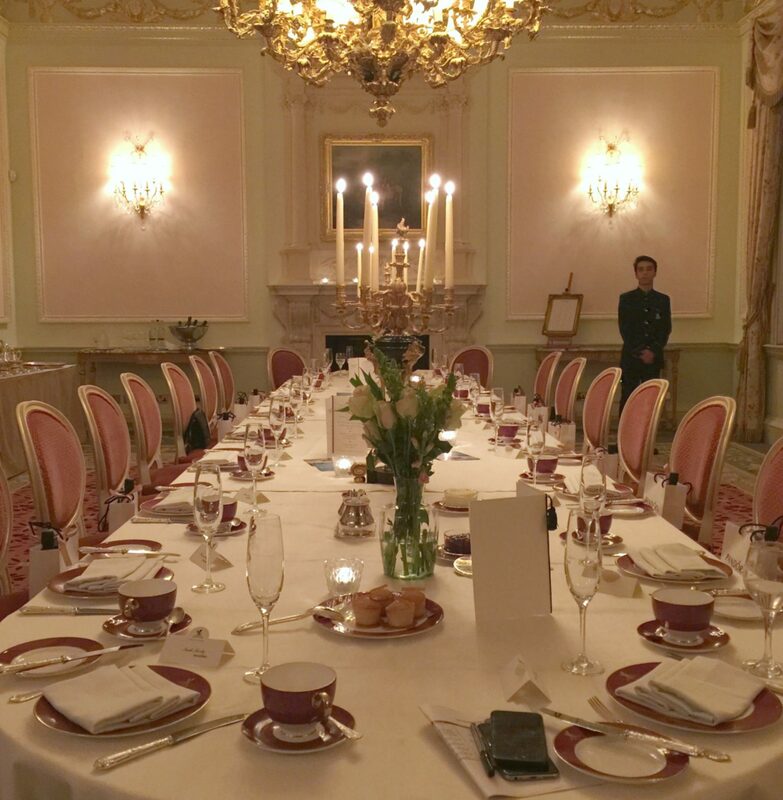 Although we were having afternoon tea, the event was actually in the evening, and for some reason the room was made very dark. I’ve lightened up the photos as best I can, but I’m sorry if they’re a bit fuzzy, this was very much a cosy candlelit soiree. 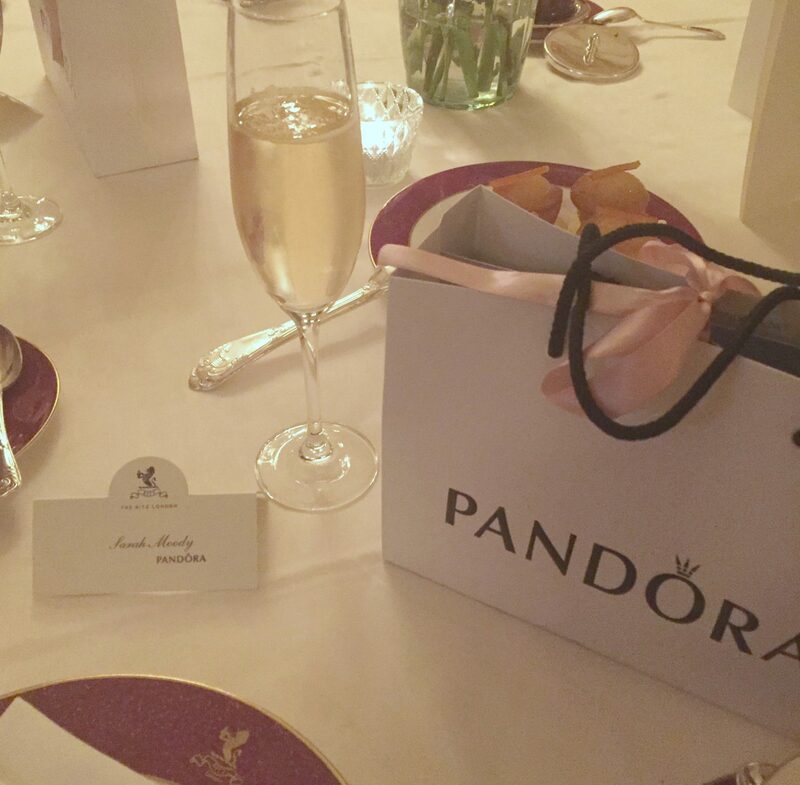 We each had a bag of beautiful Pandora jewellery waiting for us on our seats, the new spring range is exquisitely delicate, I particularly liked the rose gold items, and the cutest little bird on a log pendant. One of the items we particularly focused on was the new friendship bracelets. These are super cute, with drawstrings that allow you to adjust how loose or tight you want them on the wrist. They can be layered, and each one has a different adorable charm. The perfect gift for a friend, and by friend, I mean – a gift for yourself of course. After sampling some of the crispest champagne ever, we started getting to know each other. I hadn’t met Alexia and Primrose before and had such a laugh. It was also great to catch up with Emma (below, right), one of the first bloggers I met back in 2013 through Nuffnang (remember them? RIP). We had delicious sandwiches, scones with jam and the thickest cream known to man (plus the age old discussion about what should be put first on the scones), and some scrumptious cakes, the best one being the chocolate hazelnut choux, which one of our lovely waiters came over to enthuse about how it’s his favourite too. I love this picture of Alexia (below, left) not quite believing she’d won the photo competition of the night. She bagged herself some gorgeous earrings for her creative efforts. 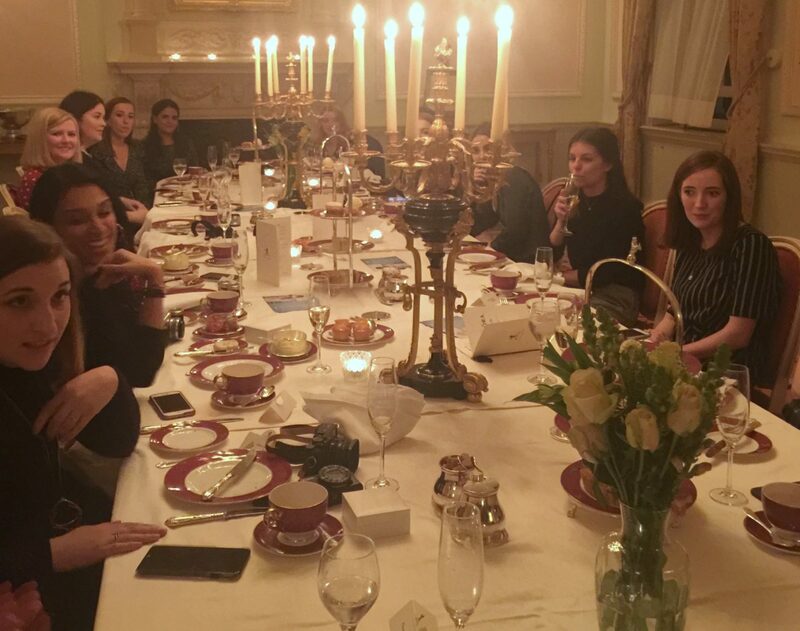 It was such an amazing spread in a beautiful room, and with a fab bunch of ladies. I met Lauzrah and Sare for the first time, people I’d spoken to on Twitter for ages, and caught up with Little Miss Katy who I used to see at events a fair bit, but haven’t seen in ages as I’ve been MIA. I laughed so much my sides hurt, though it might have also been an overdose of scones. 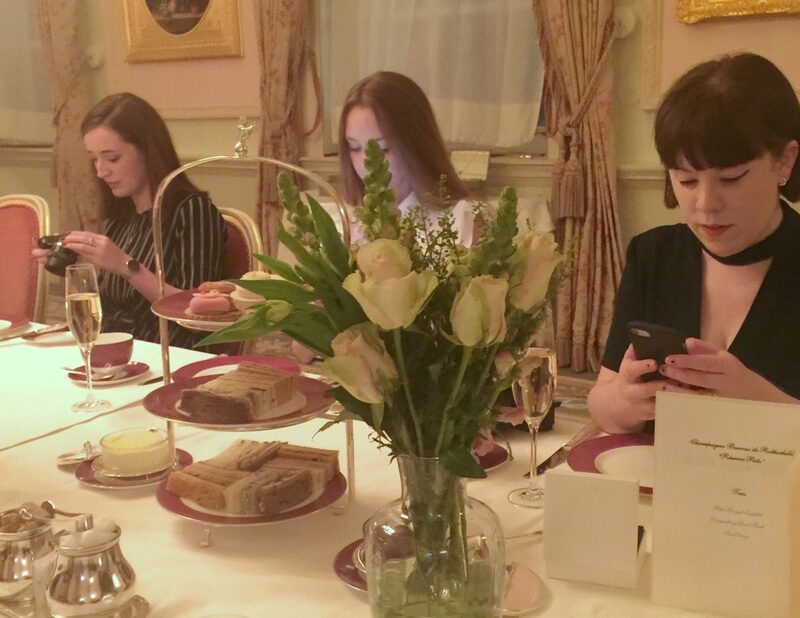 It renewed my confidence in the power of blogger events to not only connect you with fab bloggers you’ve never met before, but it’s also nice to have face to face connection with a brand and not just email contact. 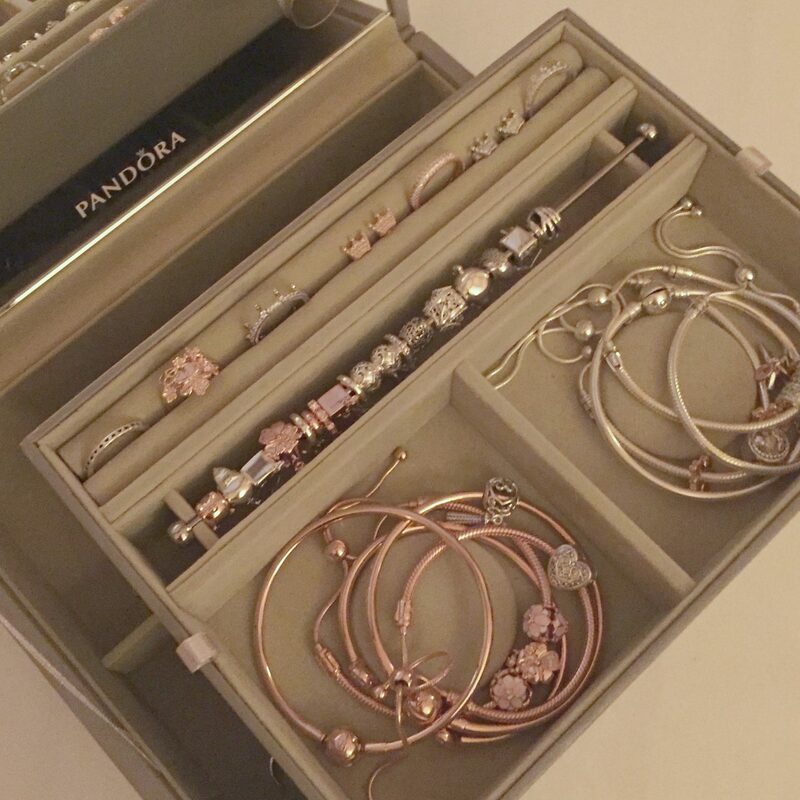 The Pandora team were all lovely, and I think you are going to love the new items in the range. Take a closer look at their gorgeous new friendship bracelets here.